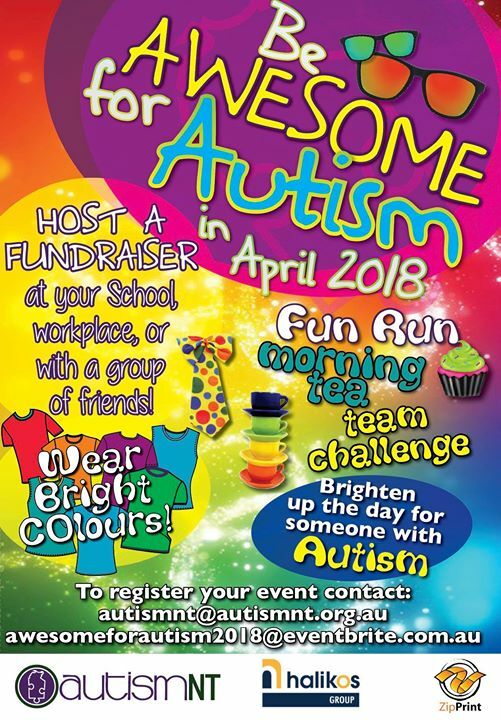 Show you’re Awesome for Autism in April! Host a fundraiser, spread awareness and have some fun in April while spreading information and understanding about Autism. Not sure what to do? Pick up a pack of great ideas from Autism NT. The pack contains a fantastic A-Z of ideas for fundraising, what Autism is, how it can affect different individuals and how to promote understanding. Don’t delay, register your event and we will make sure we promote it! Use the #AutismNT or #AwesomeforAutismNT and see what everyone else is doing too! And if all the “fun-raising” isn’t enough – remember that donations over $2 are tax deductible as Autism NT is a DGR (Deductible Gift Recipient) so we can help you helping us too!